You can ride a unicorn. Terraria fans have been waiting a long time for this update. With rumors and release tidbits flying around for the past nine months, Re-Logic has finally set a firm date. October 1st will unleash Terraria 1.2 to the world! Once abandoned by its creator, Terraria has pulled through and is still going strong. An impressively large update has been in the works for quite some time, adding so much new content even seasoned players will feel compelled to make a return trip. A comprehensive list has been maintained by the community, documenting every hint, image and confirmed feature in an attractive layout. Possibility of a Portal gun? Also recently in Terraria news, the game recently went pint-sized and released versions for both iOS and Android devices. The port contains completely reworked controls and a touch-friendly menu system, making the transition from mouse and keyboard surprisingly easy. It's missing one key feature that's sort of a deal-breaker for us, though: multiplayer. No online, no local, just you all by yourself in that big pixellated world. With any luck co-op will be added in a future update. 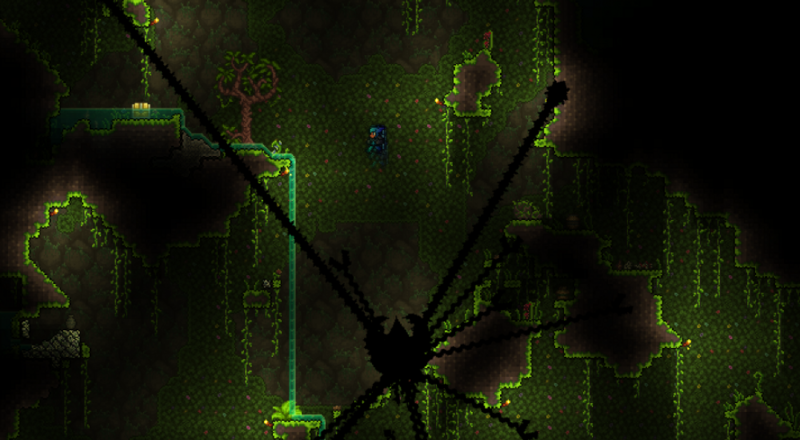 Terraria 1.2 is scheduled for release October 1st for PC via Steam. Go ahead and come up with your excuse to miss work/school/your aunt's dinner party. Page created in 0.3193 seconds.